The Jaslika Consulting team comes with decades of experience. By tapping into the diverse skill sets and interests of our members, we work with communities to find innovative solutions to complex problems. Sheila Wamahiu has a career spanning over thirty-five years as a researcher, educator, academician and senior manager in a variety of contexts. She has demonstrated expertise in qualitative research and evaluation, capacity and materials development, gender and policy analysis, and children’s participation. Sheila combines strong analytical and communication skills with strategic team leadership to produce results both at the service delivery and national policy levels. A former Chief of Education at UNICEF Uganda, she has consultancy experience in over 15 countries including Botswana, Eritrea, Ethiopia, Kenya, Lesotho, Malawi, Mozambique, Rwanda, Seychelles, Somalia, Swaziland, Tanzania, Uganda, Zanzibar, and Zimbabwe. Benjamin Wamahiu has had over 30 years experience in business development and trade promotion, having worked as an Economist with the Government of Kenya and as a Trade Commissioner with the Government of Canada. He is adept at small industry and entrepreneur development, industrial management and industrial projects preparation and evaluation. Benjamin is an advocate for clean energy and has a keen interest in agribusiness and the environment. Noraisha’s interest in the environment stemmed from growing up in Kenya where there were (and still are) a number of issues surrounding environmental degradation and the provision of environmental services in the face of a changing climate. This then led to her doctoral research into water issues, particularly wastewater treatment and reuse. Her early research covered the role of hydroponics in the treatment and reuse of wastewater. The main focus was focused on a decentralised system where either edible or flowering plants could be grown, whilst also further treating wastewater. Over the past decade Noraisha has split her time between consulting assignments, university-led research projects, and university teaching. She has experience in areas like environmental policy and law, environmental management, solid waste management. Her more recent research is in environmental policy and law and the application of environmental policy and law leading to the implementation of measurable sustainable development goals. Her career to date has involved two main components: education and consulting (covering south and east Asia and Eastern Africa). Noraisha is experienced at interacting and communicating with stakeholders; other scientists, students and the wider public and she can tailor her delivery of information to suit. Whilst working within the University sector in Australia, she has been able to extend her excellent communication and project management skills, managing multi-disciplinary teams and providing solutions whilst under pressure. Leading and managing research projects has also meant that she understands the importance of keeping up to date with professional knowledge and best practice in the area she is operating in. Currently working towards his doctorate, Karuru Wamahiu is involved in climatic modelling research using the Weather Research and Forecasting Model. He holds a Bachelors degree in Mathematics and Statistics and Computer science and has carried out statistical data analysis in a number of research projects ranging from medical research to climatology. Having graduated with a Bachelor of Science in Digital arts and Design, Ali Wamahiu quickly moved to apply his creative talents to software design and development in the finance industry. With over 5 years experience, he now applies his skills to providing strategic branding services through web design and development, user experience design and graphic design to individuals and businesses. Dr. Ahmed Ferej has had a professional career of over thirty-five years in the field of education and training, mostly TVET, where he has taught at secondary school, middle level college and university levels in Kenya. He worked with UNESCO from 1998 to 2008, serving at the Section for Technical and Vocational Education and Training (TVET) at the Headquarters in Paris; Iraq; Liberia and Sierra Leone. He holds a PhD in Education (TVET and Entrepreneurship) from the University of Illinois in the US. He completed his Bachelor’s and Master’s degrees from the University of New Brunswick in Canada. Irene Nyamu has over fifteen years work experience in the development sector specializing in child rights, social protection, organizational development and integrated project management. She holds master’s degrees in Education from Kenyatta University and International Development from the Institute of Social Studies of Erasmus University focusing on Social Policy (children and youth). Declan Magero is a seasoned entrepreneur, researcher, project planner, business consultant and business development professional with over eight years’ experience in leadership, coordination and management roles in non-profit, for-profit and government sector. Declan has core skills in policy development and analysis, strategic management, research and development in multi-sectoral areas, digital learning solutions and entrepreneurship. Declan has also served as an independent consultant to a local government and non-governmental organizations. Wangui Ng’ang’a has more than ten years experience in developing content on Life Skills more specifically with a bias on prevention of HIV and AIDS and youth development. She is also a skilled trainer, having trained both young people as well as adults in gender, HIV and AIDS and youth development. In addition to this, Wangui is also a skilled researcher and has been involved in various assignments providing expertise both at a qualitative and quantitative capacity. Conrad Watola has been focused on working with data and software for the past twelve years in various capacities ranging from analysis of web trends, to mobile applications. Over the past 8 years Conrad has extensively utilized his analysis skills in data management and analysis for various organizations within the education research realm in Kenya. Elizabeth Njuguna is the founding Director of Health Touch Foundation, a certified and registered physiotherapist with the Kenya Society of Physiotherapist Association. With over fifteen years experience in the medical profession, Elizabeth has spent her career advocating for children and studying how health issues affect children in a school environment. Through her foundation, she works with communities to improve health literacy at the grass-root level. Currently the C.E.O. of Logos Consult, Samuel Mukundi is a Management, Leadership and Education Consultant with over twenty years of formal and practical experience. He has a double Bachelor Degree in Education and Philosophy and is currently pursuing an MBA in Strategic Management. Samuel’s versatility allows him to seamlessly apply his skills to governance, management, surveying, justice, conflict resolution and youth mentorship. Purity M. Nthiga, currently a lecturer in the Department of English and Linguistics, Kenyatta University has over eighteen (18) years experience in the education sector as an academician, researcher, trainer and materials developer. Purity has taught, supervised and graduated many undergraduate and post graduate students as well as presented various papers in both local and international conferences. In addition to academic research, Purity has been a researcher in Wasichana Wote Wasome (WWW) a project on the empowerment of girls through education spearheaded by Women Education Researchers of Kenya (WERK) as well as with the TWAWEZA “Assessing Learning Outcomes in Kenya: A positive Deviance Approach” project under Jaslika Consulting. Dr. Nthiga has also consulted for an International NGO in Somaliland in the areas of teacher education, and women empowerment through literacy, skills training and advocacy campaigns. Purity holds a PhD and Master of Arts degrees both in (Applied Linguistics) from Kenyatta University. In addition, she has strong communication skills and has demonstrated commendable expertise in qualitative research skills. She has research interests in language education, Language and communication, gender, education and empowerment, lifelong learning and literacy, among others. Mary Muito is a holder of an Advanced Certificate in Education from University of Illinois at Urbana-Champaign USA, a Master’s degree in Entrepreneurship Education and Development from Jomo Kenyatta University of Agriculture and Technology, Kenya, a Post Graduate Diploma in Systematic Curriculum Development, Research and Evaluation from Kenyatta University, a Bachelor of Education Degree from Nairobi University and a Diploma in Education and Teaching from Kenyatta College. Mary also has a certificate in Cooperate Governance from The Institute of Cooperate Governance- Kenya. Mary has over 30 years’ experience in the Education Sector in the fields of classroom teaching in secondary schools and teacher training colleges, education management and administration, curriculum development, implementation and evaluation, monitoring learning achievement, testing and examinations and teacher capacity development. She also has extensive experience in education programme development, monitoring and evaluation, gender and education. With a doctorate in Environmental Science and another in Aquatic Biology and Fisheries, Dr. Jaya Nair, has over 25 years of experience in the field as an academic, researcher and consultant. She has consulted extensively and researched primarily in the fields of water and waste management in a variety of contexts that includes Australia, India, Banda Aceh (Indonesia) and Vietnam. Dr Nair has to her credit several patents in Australia and India on different aspects of organic waste treatment as well as apparatus and methods for processing plastic waste. She has authored more than 90 publications in scholarly journals and has been the Guest Editor/Editor of several professional journals. In addition, she has also been on a number of organising committee for international conferences in her field of expertise. 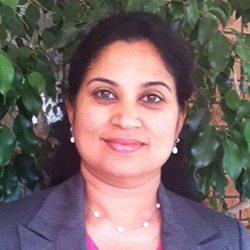 Jaya Nair is currently an Adjunct Associate Professor at Murdoch University, Australia and held positions successively as Associate Director and Director of the Environmental Technology Centre at Murdoch University in Western Australia. Naom Ondicho graduated from Kenyatta University in 1996 with a degree in education specializing in the teaching of French and Literature in English. She went on to pursue a Masters in Education Administration degree from the University of Nairobi graduating in 2005. She has over 19 years combined teaching experience at both high school and in a Technical Training Institute where she co-ordinates the teaching of Life-skills Education. She has an interest in educational research and is passionate on issues to do with educational management, gender, children and Life skills Education. She is currently enrolled for doctoral studies at Kenyatta University. Ernest Onguko is a mobile technology and security enthusiast. Ernest has been working as an assistant researcher for the nonprofit community since the year 2011 in girl child empowerment. He is currently enrolled in Strathmore University for his masters in mobile telecommunication and innovation. Concilliah is currently a student at Kenyatta University working towards her Bachelor of Commerce in Human Resource Management. She has over five years’ experience in educational research and health. She is involved with Jaslika Consulting as a researcher in an on-going positive deviance study commissioned by Twaweza East Africa. Concilliah participated in research conducted on values in Kenya’s education system - the first of its kind - as a field researcher and a media analyser in addition to similar research carried out on value-based education which was supported by the Aga Khan Foundation. Further research projects she has worked on include Wasichana Wote Wasome, Jielimishe, and the Uwezo Kenya National Assessments. Additionally, Concilliah has volunteered for different non-profit organizations such as the German Foundation for World Population (DSW) as a peer mentor, and for Africa Alive Mombasa as an assistant project coordinator. Between 2012 and 2013, she worked as a project team leader on the Kenya Transition Initiative (KTI) and USAID-led project under a local community based organization. She is also a seasoned trainer in entrepreneurship and youth agenda and a national trainer at Twaweza East Africa/Uwezo Kenya. She is currently working on developing a concept paper that seeks to address the issue of environmental conservation through proper garbage disposal and recycling with the aim of combating climate change and ensuring environmentally sustainable development. A policy analyst and governance expert, Hamisi Mboga has a prolific career spanning over 30 years. With a double Masters in Science Education and the Social Sciences, Hamisi has worked as a school advisor, social worker, administrator and Chief Executive Officer. He has also serving in management boards of a several government institutions and non-governmental organisations both in and outside Kenya. Hamisi brings to the table his rich experience and experiential knowledge of local governments, devolution, civic education and decentralized service delivery. He was formerly a member of the Task Force for Devolved Government (TFDG) that developed the report and draft legislation on devolved governments and of the reference Group to the Committee of Experts (CoE) on the Kenya Constitutional Review Process. Hamisi Mboga is currently completing his PhD in Governance and Leadership.